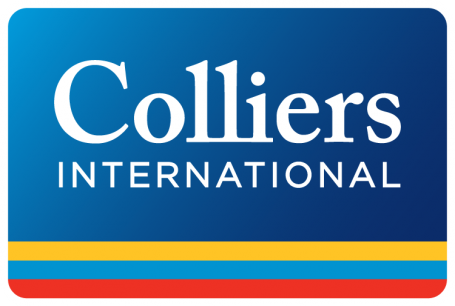 LONDON, June 2, 2015 – Colliers International research reveals EMEA retail investment volumes were up 94% to €19.1Bn (£13.9bn)* during the first quarter of 2015 compared with Q1 2014, with expectations that total 2015 transactions will surpass the previous year’s total of €51.8bn (£37.7bn). In 2014, the retail investment market recorded its strongest year since 2007, with the UK leading the region accounting for more than 30% of the volume. Retail investment in Britain was €16.9bn (up 19%), followed by Germany €8.3 (up 5%), France €5.8 (up 84%), Spain €4.3 (up 179%) and The Nordics €3.9 (down 15%). Bruno Berretta, Colliers International EMEA Head of Research, explained, “Last year retail investment showed a comeback to almost pre-recession levels but given the strength of the market during the first quarter of this year, with transactions already 37% of the 2014 total, then we can expect an even better performance in 2015. We also expect core Western European markets to continue to be top of the list for investors but as these heat up, more peripheral markets such as Spain, Italy, Ireland and Portugal will see increased activity. Retail trade volume increased by 1.9% in the EU and 1.3% in the Eurozone during 2014. In terms of retail rental growth, Dubai out performed London thanks to limited supply and high retailer demand with high street rents jumping 38.8% and shopping centre rents up 22.7%. London high streets saw rent increases of 25% and six per cent in shopping centres. Strong upward pressure on prime rental levels in London’s high streets is unsurprising given that in 2014 the industry witnessed the sharpest fall in vacancy rates in Central London since 2007. Key outlet openings within Central London throughout the past six months include: J. Crew along Marylebone High Street; Stefanel, Hunter and Michel Kors along Regent Street, David Mayer, Lindex and American Eagle at Westfield, DSquared2 along Conduit Street; and Shinola along Newburgh Street. Colliers research also showed retail leading the real estate sector growth in Portugal as more international retailers opened stores in Lisbon including Guess, Hackett London and Lacoste. Prime shopping centre rates stabilised in Central and Eastern Europe, with the exception of Moscow, St Petersburg, Kiev and Zagreb. Small prime retail rental growth was witnessed in Bratislava and Warsaw as well as Baltic cities Tallinn and Vilnius. In Bratislava and Warsaw and the Baltic capitals prime rental growth is expected throughout high streets and shopping centres in 2015.